Target Heart Rate simply means the heart rate range that’s best for a given individual. The target heart rate zone is generally calculated by using a percentage of one’s maximum heart rate, which is the maximum number of beats per minute the heart of an individual is capable of beating based on their age and physical condition. 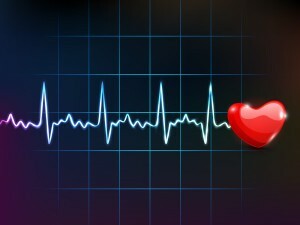 An estimate of a person’s maximum age-related heart rate can be calculated by simply subtracting the person’s age from 220. For example, for a 50-year-old person, the estimated maximum age-related heart rate would be 220 – 50 = 170 beats per minute (bpm). For moderate-intensity physical activity, one’s target heart rate should be 50 to 70% of his or her maximum heart rate. Thus, moderate-intensity physical activity for a 50-year-old person will require that the heart rate remains between 85 (50% of 170) and 119 (70% of 170) bpm during physical activity. For vigorous-intensity physical activity, one’s target heart rate should be 70 to 85% of his or her maximum heart rate. To calculate this range, follow the same procedure above. Thus, vigorous-intensity physical activity for a 35-year-old person will require that the heart rate remains between 130 and 157 bpm during physical activity.